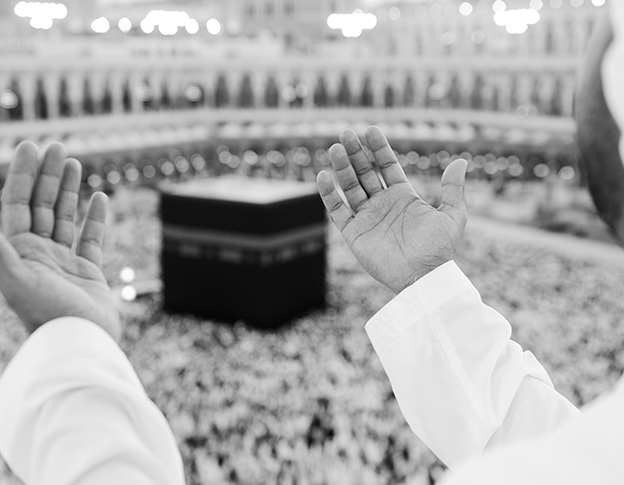 Hajj is a unique combination of Prayers, Fasting & Zakaat. A Muslim, who is financially & physically sound, has to go to Hajj once in a lifetime. Allah simply asks us to be mindful of HIM for HE is aware of our sinful hearts and knows that only HIS thoughts can inspire the fear of doing wrong in man’s conscience. Pilgrimage to Hajj expects a man to be detached from the world and into the arms of HIS creator. 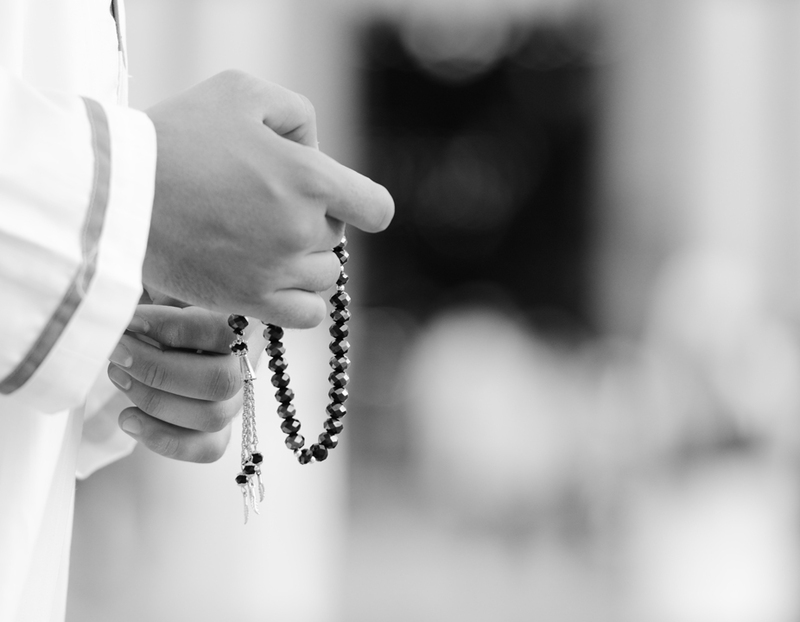 For the first time during the period of Hajj, man realizes HIS need for love and acceptance cannot be fulfilled by the creation but only by the creator. The sole intention should be to gain Allah’s pleasure and fulfill his obligation. According to the Islamic calendar, on the 8th day of the Dhu al-Hijjah lunar month every year, pilgrims are meant to travel to Hajj. The pilgrimage is performed in Makkah, Saudi Arabia to celebrate the glory of Allah. The duration of the pilgrimage lasts 5 days between the 8-12th days of the lunar month. 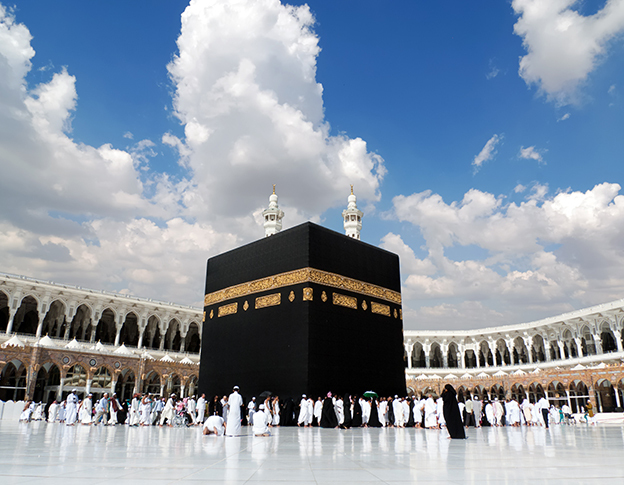 Al Khalid Tours & Travels provides many facilities to the people going for Hajj. The facilities are customized according to your requirements. However, there are other things that you can take care on your end too. Ensure the bags that you carry should have your name & address tag. Pack as light a luggage as you can to avoid unnecessary hassles. Carry all your travel documents such as Meningitis Certificate, Passport, Currency, Bank Draft, Ticket and other important documents in a separate handbag and keep a good eye on this handbag. However, if you face more discomfort during this pilgrimage, Allah will reward you more. He is always pleased with those who come to him in a tattered state.